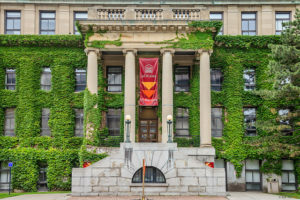 ACM ICMR 2019 is to be hosted by the University of Ottawa. The University of Ottawa (uOttawa or U of O) ( Université d’Ottawa) is a bilingual research University in Ottawa, Ontario Canada. The main campus is located on 42.5 hectares (105 acres) in the residential neighbourhood of Sandy Hill, adjacent to Ottawa’s Rideau Canal. 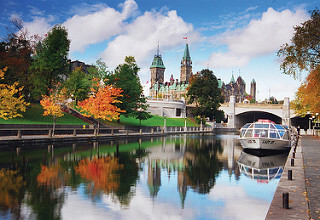 As Canada’s capital, Ottawa is a showcase city of more than one million people. Located in Ontario at the Quebec border, it offers visitors an opportunity to explore Canada’s proud heritage at impressive national sites and famous landmarks, including the Rideau Canal (a UNESCO World Heritage Site). It’s a city steeped in culture, with world-class museums and galleries displaying stunning national collections and special exhibitions from Canada and around the world. Our beautiful campus is located at the heart of the capital of Canada, a G8 nation. On the main campus, adjacent to the world-famous Rideau Canal, guests will find themselves surrounded by century-old buildings and state-of-the-art new construction, all on lovely open grounds. Holding a conference on our campus allows ICMR attendees to walk to Parliament Hill, several national museums, the Byward Market, shops and boutiques as well as many restaurants offering a wide variety of cuisines. 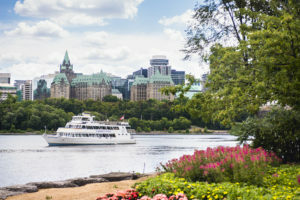 There are many reasons why uOttawa is an ideal place for ICMR2019 and its attendees: Ottawa is a city that enjoys the finer things in life, with a culinary community that’s earning wide acclaim, unique boutiques and shopping districts, a lively local music and art scene, and always exciting nightlife. The bus is a good option as long as you don’t have a lot of luggage. It will take about 30 minutes from the airport to downtown. The bus has an automated announcement system so you’ll be able to hear when to get off (the next stop is also displayed at the front of the bus). The city bus will get you within 2 short blocks of your hotel and directly infront of the uOttawa main campus, at a cost of about $4.00 each cash. Because it has a dedicated right-of-way and limited stops, the bus will be nearly as fast as a taxi at normal times, possibly faster during rush hours. Whether you’re going from Ottawa east to Ottawa south, west or downtown Ottawa to Gatineau, or vice-versa, OC Transpo (http://www.octranspo.com/) can take you. OC transpo provide comprehensive transit services to nearly one million people in Ottawa. The OC Transpo fleet has over 900 buses and six trains serving our nearly 340,000 daily riders. OC Transpo’s mandate is to deliver safe, reliable, and courteous service at a reasonable price. Transit use benefits the community by reducing greenhouse gas emissions, traffic congestion, and the requirement for more roads.